Verkamp's Curios was the last building on the rim to fall from private hands. The family chose not to renew their concession license and the Park Service purchased it in 2008. It was reopened as a visitor's center and a Grand Canyon Association bookstore. 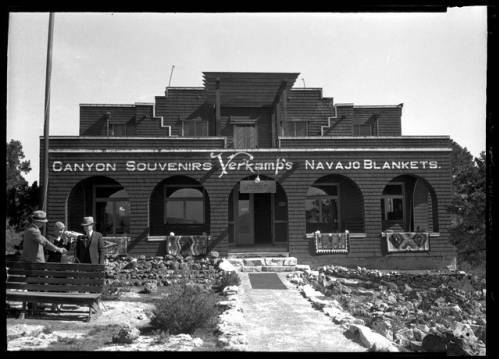 John Verkamp came to the canyon in 1898 attempting to make money to stagecoach travelers by selling souvenirs out of a tent. Without strong enough traffic, his ventures were largely unfruitful. He sold his inventory and returned to Flagstaff. After the construction of the railroad, he decided to return and opened the building that still exists today in 1905. The supplies were shipped from Los Angeles. The store itself featured Indian crafts from local Native American artisans. Staff was trained to properly be able to explain the process and significance of each piece. 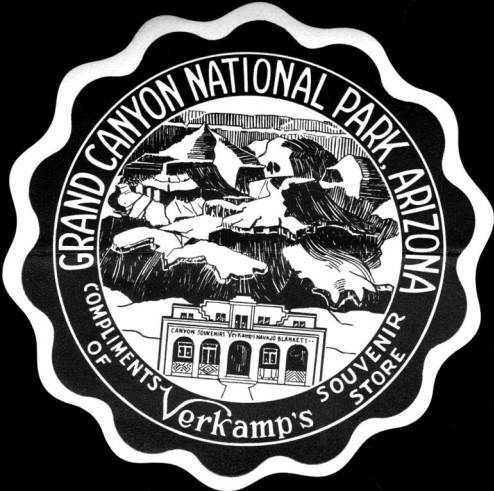 The business proved to be incredibly successful and the Verkamps remained important figures in the Grand Canyon community for their duration. They assisted in the construction of the Grand Canyon school and the Shrine of the Ages.